By @SimonCocking Can You Hear Me? 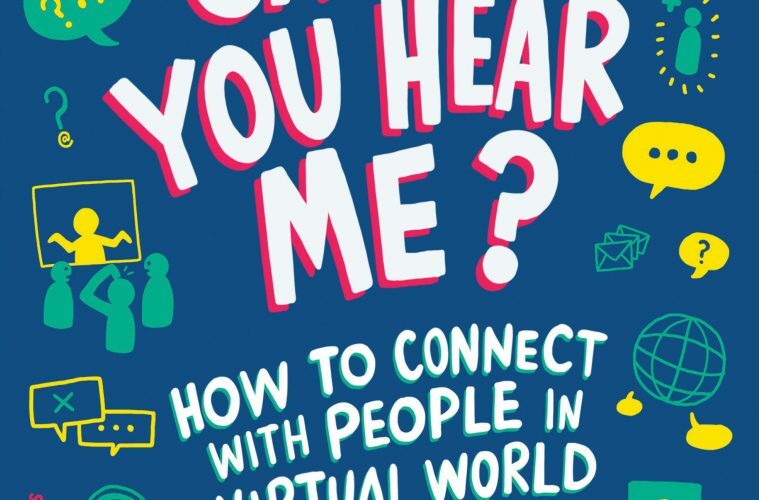 : How to Connect with People in a Virtual World, by Nick Morgan. Available from Amazon here. Morgan argues that while virtual communication will never be as rich or intuitive as a face-to-face meeting, recent research suggests that what will help–and what we need to learn–is to consciously deliver a whole set of cues, both verbal and nonverbal, that we used to deliver unconsciously in the pre-virtual era. He explains and guides us through this important process, providing rules for virtual feedback, an empathy assessment and virtual temperature check, tips for creating trust in a virtual context, and advice for specific digital channels such as email and text, the conference call, Skype, and more. This is a timely and smart book. We are tumbling rapidly into a digital world, Skype, Zoom, WhatsApp, Twitter, Linkedin messaging, email, and everywhere else that the world tries to snag us. On one hand it’s great. People who boast on their business profiles that their location is ‘the world’ or ‘on a plan’ actually look slightly silly in some ways, as they attempt to go all macho on how often they are away from home. With this plethora of new ways to communicate we often can do lots of great work without ever leaving home. However, as Morgan clearly identifies, like so many areas of our new digital lives on line, we haven’t quite mastered how to do this well. We’ve all heard about how much of our communication is non verbal, so as you can imagine we lose more and more of these additional cues, once we enter the digital world. In this context Morgan asks some thoughtful and provocative questions about how we can try to communicate better with other people in a virtual world. This makes for interesting reading, and already we have taken away several insights from this book, and tried to incorporate them into how we deal with people in our own business calls and online communications. Until we have instant teleportation or convincing hologram methods of calling people, we are still potentially stumbling into some of our current ways of doing things with our online world of contacts, associates, business partners and clients. If you plan to do business online with anyone else, then this is a smart and timely book to read.